"I have struggled with my weight my entire life, before starting with Tim I had tried crash diets, gym memberships and had a bad experience with another personal trainer. I barely made it out the door for my first meeting with Tim, being extremely out of shape my nerves almost got the best of me, but I am so happy that I did! I was skeptical (to say the least) when Tim said all I had to do was meet with him 2-3 times a week for workouts and follow a paleo diet. After everything I had tried, this seemed a little too easy. But a year later I am down 40lbs (just bought my first ever pair of size 3 jeans!!) and feel better than I ever have. Tim makes living a healthy lifestyle straight forward and attainable. He doesn’t just give you a standard meal plan to follow blindly, but instead provides you with the information to make good food choices. The passion that Tim has for fitness is evident in the enthusiasm that he brings to every sessions. The results I have achieved so far are more than I had ever hoped for when I originally started working with Tim. Thanks to you I am going to be rocking my wedding dress in a few short months! I cannot recommend you enough, you truly are fantastic at what you do!" "It truly is amazing how what we eat and how much exercise we do affects how we feel not only physically but mentally and emotionally as well. I have struggled with extra weight for the past 17 years as a result of poor eating choices, and not being able to commit to a regular exercise routine. I always seemed to blame myself – not enough willpower, lack of accountability, too tired, too stressed etc…the list can go on. I had so many good intentions but was never able to follow through long term. I can now look back and realize that my food choices, especially sugar and wheat, played a major role in PMS symptoms, migraines, fibroids, lethargy, even inflammation and kept me on an emotional roller coaster for so many years. When I first started working out with Tim this past May, he introduced me to the Paleo way of eating. Right away it just seemed to make so much sense. For 2 months I did not eat wheat, sugar or dairy, except the occasional Greek yogurt. I have also worked out with Tim at least 2-3 times a week depending on my work schedule. Since May 15, I have lost 20 lbs and am so happy that sugar no longer controls my life! I haven’t even had a single migraine. I am excited to exercise and meet Tim for my workouts. 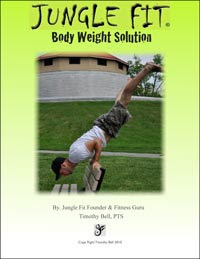 The Jungle Fit training is so easy and stress free. Tim has been able to improve my strength and cardio conditioning every week. I am still impressed with how little exercise you need to do to see results. I don't have a regular work schedule and sometimes work strange hours, but Tim has always managed to work around my crazy schedule. At 44 years old I feel better, look better and have more confidence in myself. Every day I can feel the impact that exercise and nutrition has on my body and mind. Thank you Tim for helping me change my life!" "I’m a recently separated 32 year old who started working with Tim in April of 2010. As I found myself going through many lifestyle changes, I wanted to get my body and mind back on track as well. I believe as long as you’re confident with your body, your mind follows suit. Growing up, I was always a bigger girl and was never confidant with who I was. I played a wide variety of sports, which helped, but I was still missing the satisfaction I needed. I have done a few boot camps with Tim and am now training with him. I have never owned a set of scales because of my self-image issues, so I never knew how much I weighed. I do know however that I dropped 10 pant sizes and my level of playing sports has increased exponentially. I obviously had to buy a whole new wardrobe and I just found it amazing. I could only shop in certain stores and used to buy something just because it fit. Now I can shop in any store and buy something because it fits and looks good. As for playing sports, I am now competing on a guy’s level. I am keeping up with them and even overtaking some of them. I never thought I would enjoy working out as much as I do, but I can honestly say that I am addicted now. Tim makes it so fun and proves results. I just got back from Cuba and I was actually proud for the first time in my life about my body and I rocked a bikini the whole time! Without Tim, this would have never been possible! Thank you so much Tim for giving me what no one has been able to…self-confidence! " "Since leaving high school and getting a job sitting at a desk all day I ballooned to 220 pounds. I kept procrastinating about getting back in shape as I was continually staying active playing sports. However, I never lost weight and always felt heavy. Within 4 months of working with Tim I lost a little over 30 pounds, down to 190lbs, and went from a size 44 pair of jeans down to a 36. With Tims help keeping the workouts simple and only small modifications to what I was eating I feel better than ever. I'm now currently weighing around 183lbs, and I look forward to further progress!" 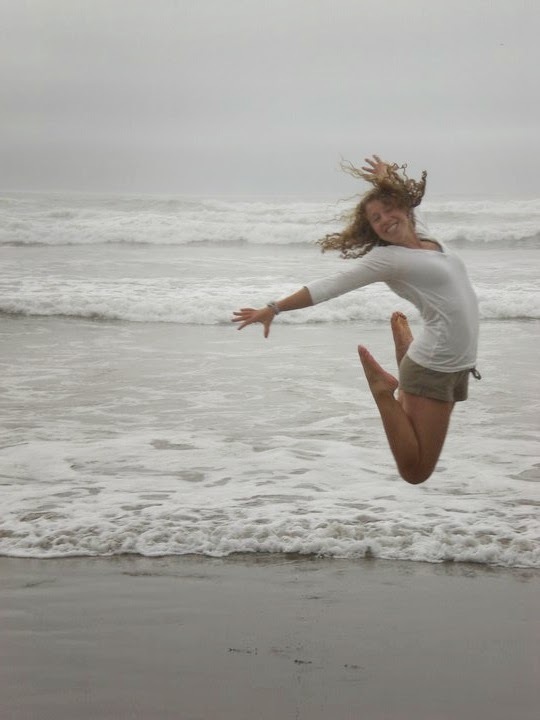 "I was a little apprehensive about working with Tim at first because I did not have a good experience working with a personal trainer previously, but once we started working together, he showed me that he truly cared about me and wanted to help me change my life by teaching me how to take care of myself properly. For the past three months, Tim and I have been working together to improve my flexibility, mobility, nutrition, and wellness. He has taught me the importance of pairing up a great diet plan with a good fitness plan. Although I have only worked with him for a few months, he has proven to me that he is the real deal. He is passionate, down to earth, and knowledgeable about what he does. He has proven to me that he enjoys helping others reach their goals. I look forward to every session we have together and I am looking forward to working with him in the future. Since working with Tim, I have lost over 10lbs, 8 inches and have come to love who I am. I am stronger, I have better posture, and I no longer get headaches or migraines. I am happier than I have ever been, very positive, and have a lot of confidence because Tim has given me the tools to care for myself properly for the rest of my life. I am so glad that I have the opportunity to work with Tim." "For as long as I can remember, I have always aspired to be in excellent physical shape. Growing up in Vancouver, I participated in a variety of sports and outdoor activities. When I moved to Kingston to attend Queen's University, I realized that I would have to find other ways to stay healthy. After weeks of running and unsuccessfully trying to use the weight machines at the local gym, I decided to look elsewhere for training options. 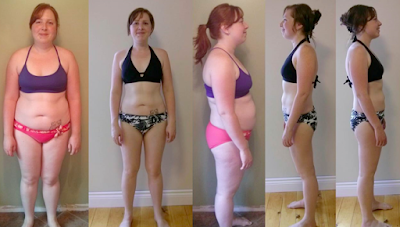 I found Tim's Jungle Fit Bootcamp online, and began attending the program three times a week. The workouts were engaging, fun, and pushed my athletic abilities to the limit each time. Tim caters the workout to all of his participants, and he was an enthusiastic and inspiring trainer. After every session, I felt myself regaining some of my strength and cardiovascular endurance. After weeks of Jungle Fit Bootcamp, I decided to train privately with Tim. I wanted to learn how to properly gain muscle through weight training and conditioning exercises. Tim is an excellent teacher and trainer; he was patient, helpful, and he is extremely knowledgeable when it comes to health and exercise. I've now been training privately for over three months, and I have never been in such good shape! I feel stronger, leaner, and more confident in myself. I've built muscle, learned about better eating habits, and gained insight into what it means to train with weights. Tim constantly modifies my personal workouts, so that each training session is challenging and unique. Never would I have imagined that I would enjoy weight training and cardio workouts! I would encourage everyone looking to get in great shape to try Jungle Fit Bootcamp or Personal Training. You have nothing to lose and everything to gain by working with Tim!" 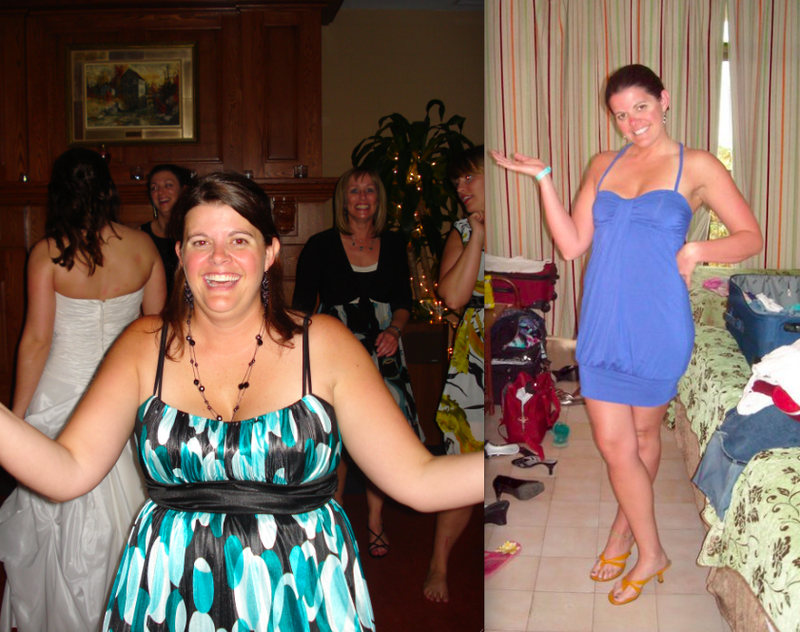 "I used to be 182 lbs and I lost 50 lbs in the past few years. However, I had been having trouble dropping weight/body fat. My weight had been staying around 124- 132 and I wore size 4-6. I began training with Tim 6 weeks ago and it was a life changing experience. I used to think that skipping dinner/only eating vegetables, wheat or grains help me to drop body fat. However, after training with Tim for over 6 weeks, I know that the concepts I had were mistaken. From him, I learned what workouts are effective, what food I should be eating and when I should be resting. He not only showed me how fitness was meant to be, but also how fitness can blend into your lifestyle. I dropped from size 4-6 to size 2 and I dropped more than 10lbs of body fat in the past 6 weeks of training. 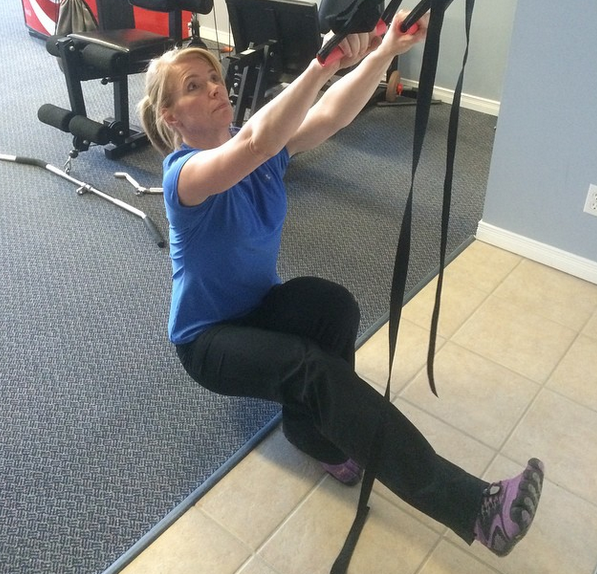 I will keep training with Tim, he is the most knowledgeable fitness professional I have ever met." "I first started training with Tim when I started gaining weight I was eating just to stuff myself and loved my beer ... and it showed. I gained around 20lbs and weighed around 180lbs. I didn't know what to do, where to start, and I needed something I could do in the little time I have when I'm not at work. Tim helped design a program for me that fit into my schedule, made sense, and didn't require any equipment. Tim also helped outline a nutrition plan that was easy to follow and made a lot of sense. In 2 months I lost around 24lbs and I now weigh 156lbs. I feel stronger, happier, and over all I just feel better. Thanks Tim!" “I first decided to look into boot camp at the beginning of spring because I was turning 30 and wanted to hit that milestone feeling good and strong. I was nervous though due to a previous experience I had with a large gym in Kingston. Due to the training that I had with this other gym’s inexperienced personal trainer I was left with some serious knee issues because my form was not properly corrected. I decided to meet with Tim after I saw an add posted on Kijiji. After discussing my issues with Tim I decided to take a chance and joined the Jungle Fit Boot Camp 3 days a week and Personal Training 2 times a week. I’m happy to say that I have been working with Tim since the beginning of May and I have lost 14 pounds and have been able to improve on my form for all the different exercises causing me not to get hurt and increasing my energy levels. Meeting with Tim is fun and entertaining. I’m learning how to eat properly and not just like a rabbit, like many diets/lifestyle plans encourage. I really wanted to give you an update as to my progress since joining boot camp in May 2010 and doing the personal training with you. When I started boot camp I was 19 pounds heavier.. it's really hard to believe how much weight I have lost. I also went and bought some new jeans 2 weeks ago... I went from a size 8.. to a 4. I couldn't believe it!! A Size 4. " "I wanted to share my Jungle-Fit experience because chances are, my story is your story. Working full-time running a business and taking care of everyone but myself always made it easy for something or someone to take priority over exercise. With my kids at University and College, my clothes getting tighter, and being sore more often than not I decided something had to change. I struggled for months researching big box gyms and personal trainers and became quite overwhelmed trying to make sense of all the information. By chance I came across an ad for Jungle-Fit and decided their simplistic and basic approach to fitness could be what I was looking for. I was really nervous about meeting a personal trainer because at 45 years old my fitness experience was extremely limited, well let’s be honest it was practically non-existent, and I wasn’t sure if a trainer would be interested in taking on that kind of a project. Turns out you don’t have to be fit to sign up because that’s what they do! My first session clearly demonstrated my lack of strength as I was unable to complete even one push up from my knees but after only two months Tim had me doing push ups from my toes. I have now been training with Tim for almost five months and wished I had found Jungle-Fit sooner. Not only have I lost weight but I actually have muscle tone and look a lot more athletic. Most importantly I feel good! Forget about the boring repetitive workouts at the big box gyms and all those yo-yo diets. 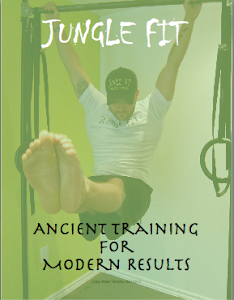 Call Jungle-Fit and learn how to eat and exercise properly and get huge results with minimal time and equipment. 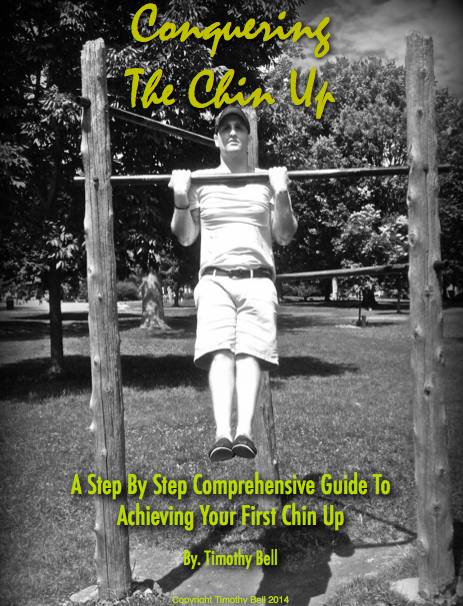 If you want to lose weight, change the shape of your body, build muscle and strength, improve your coordination, flexibility, balance, mobility or some other fitness goal you think is impossible Tim will get you where you want to be. He will develop a customized program just for you based on your fitness goals and your current fitness level. Each training session will be different so you don’t get bored and Tim will have planned it all before you get there. All you need to do is show up, work hard, and be prepared for a few laughs along the way. Don’t get me wrong it’s not a walk in the park. Tim’s workouts are tough and challenging but they are also extremely rewarding. If you are willing to show up regularly, listen to instructions, and put an honest effort into your workouts you will be amazed how quickly you will see results. You will never want to set foot in a big box gym again." “During the summer of 2009, at the suggestion of my friend and neighbour, I signed up for Jungle Fit Boot camp with Tim Bell. This was no easy feat for me! At 47, I was overweight and very out of shape and more than 15 years older than my friend. I worried that I would not be able to keep up with the other participants or that I would look silly even trying! Tim was professional from the get go. He encouraged me to do my best at each session. Soon, I was engaging in activities that I had not done in a very long time. My body started to change and I was gaining strength. I dropped more than eight pounds during the first month of boot camp! Wow! Could I ever feel the difference! Later I made the decision to train privately with Tim; he tailored a programme just for me. With emphasis on proper technique Tim never compromises on safety. His work-out sessions are challenging, vigorous and fun. Tim keeps it fresh with periodic switch-up so working out is never boring! 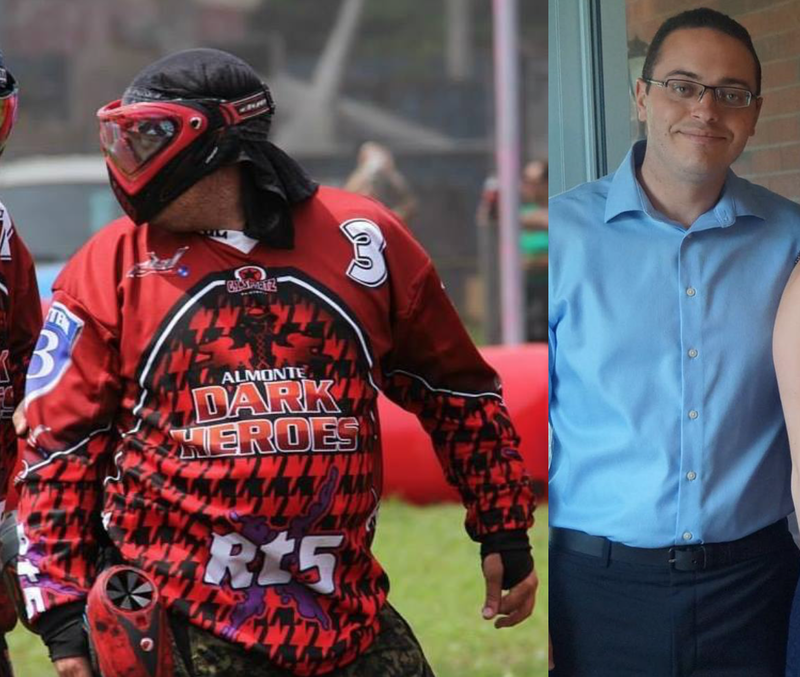 "When I first joined Tim’s Boot Camp over a year ago I was a shift worker and a recently separated single mother. I needed a boost of self-confidence but thought my life was not conducive to be able to fit in a scheduled workout routine but I wanted to try, so when I had to, I brought my son to Boot Camp and set him up in a lawn chair, with some snacks and his DS (I now do the same in Tim’s studio). I think he gets a kick out of watching us and it is good exposure for him to see his mother getting in shape. That 1st month I lost 8 pounds and 2 inches off my waist….I felt great! It was exactly what I needed. 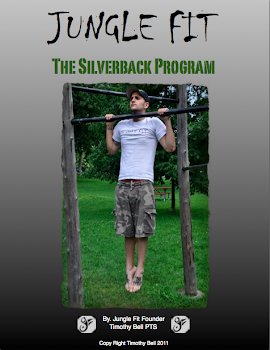 After a couple of months of Boot Camp, two friends and I did Personal Training with Tim. This took my fitness level and my body to a whole new level. Tim knows what works and designs workout routines that are effective and give results! This past summer I had a friend that convinced me to try something else, so I left Jungle Fit for 2 months, however I missed the relaxed environment of training with Tim and I also felt I was losing much of my “core” strength. So I returned to my small group of friends (who did not abandon Tim during the 2 months I left) and have resigned myself to being a Jungle Fit “lifer”. I am someone who has struggled with weight issues since adolescents and has never stuck with any form of physical activity for any length of time and now I can’t wait for training days. At age 38, I now find myself in the best shape of my life. I have lost close to 25 pounds (and kept it off) and have dropped 4 dress sizes! I definitely look better naked thanks to Tim and Jungle Fit!" "My name is Kathy, I'm 36 years old. I have been over weight since I was 12 years old. My friend Treena told me about Jungle Fit and the Fitness Boot Camp she was doing, so I decided to give it a try! I was skeptical because I had tried just about everything else. I was extremely surprised with the results! 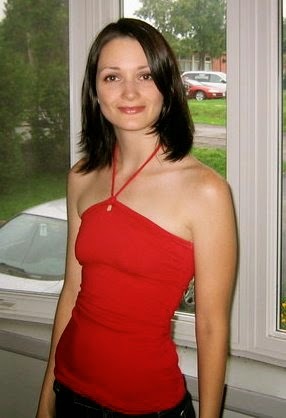 I have been working with Tim through bootcamp and personal training since September 2009. I have lost over 30lbs and I don't even know how many inches, and best of all I have kept it off! I own/run a small family business and have a very busy 5 year old. I can walk into Tim's completely stressed out and walk out forgetting what caused the stress in the first place. Since I started, my appearance, confidence, and over all health has improved dramatically! Tim, you've changed my life for the better and I thank you, don't ever change!" "I was so nervous when I first met Tim, never having done this sort of thing before the idea of training was daunting, but Tim made me feel comfortable immediately. Training with Tim is fantastic. Its really fun and I actually look forward to coming each week. Before I started I couldn’t really do much but now I can actually do push up’s and lunges without falling over! Its has been an amazing experience and I am so glad that I did it! I feel great, Thanks Tim!!" "Since starting Bootcamp two months ago, I lost 9 lbs altogether. I had tried a few different types of fitness regimes, but not only have I lost the rest of my maternity weight, I feel stronger and more confident that I will be able to continue this balance healthy living. Tim's fresh and encouraging spirit helps empower you to make the changes you want to see, and have fun in the process!"